We often have stories that develop over time. People from a horse’s past will contact us and fill us in on “the rest of the story“. We often share these stories with people who call or who come by the farm. We now have a place to “Spotlight” the extra special stories or events in our horses’ and owners’ lives. 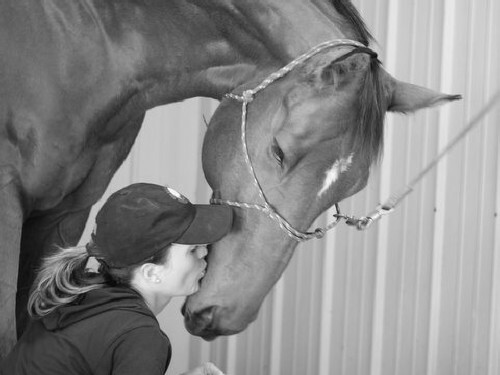 Choose one of the horses from the Success Stories drop down menu above and learn what it is really like to ride and own a Thoroughbred race horse as your personal pet. We have hundreds of stories on this site and on our parent Web site at: www.bitsandbytesfarm.com. We have been placing horses off-the-track since 2001. You will find lots of training and feeding information on this site and on the Bits & Bytes Farm Web site. If you still need more information, pick up the phone a call us. 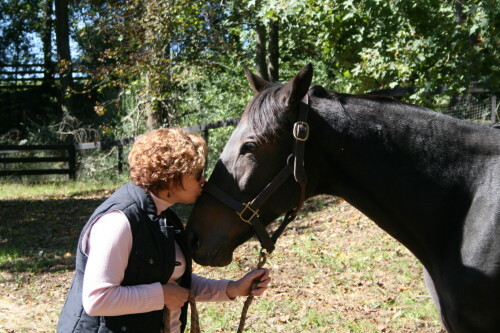 Fame for a Day and his mom Gloria Coleman were the pair who gave us the idea to start publishing the success stories of the horses we have placed.